Visitors and locals are spending record amounts in Colorado’s mountain communities. Sales tax collections are again reaching all-time highs in 2016. 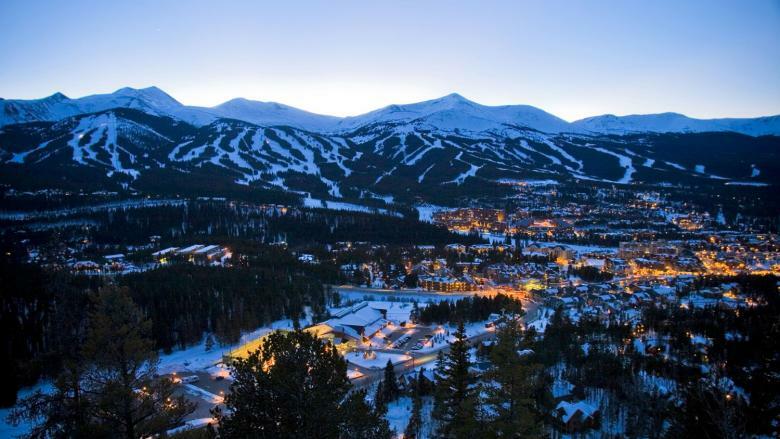 For the fourth year in a row, sales in the high country smashed tax collection records and soared beyond budget expectations in resort communities like Aspen, Breckenridge, Crested Butte, Snowmass Village, Steamboat Springs, Telluride, Vail and Winter Park. The sales tax numbers reflect skier visits – both of which have been climbing at a record-setting pace since the recession in 2012. Skier visits to Colorado resorts reached an all-time high of 13 million in the 2015/16 season. Early indications show that 2016/17 visitation will near or exceed that number. More than 77.7 million people visited Colorado in 2015 and the latest research from the Colorado Tourism Office shows fewer out-of-state vacationers traveled to Colorado in the summer of 2016. Even though they spent more, it upsets sales tax collections in mountain destinations. Breckenridge’s 9 percent increase in taxable sales over 2015 came from increases in retail, restaurant and short-term lodging taxes. For the marijuana supporters; Breckenridge’s sales climbed 18 percent in 2016, reaching $1.4 million, which is still less than 2 percent of the total taxable spending in town. A lot of that revenue goes back into the town of Breckenridge. This year they will break ground on a $1.5 million pedestrian project with heated sidewalks, are adding 11 round-a-bouts throughout town, are adding a large parking structure and are adding more bus routes like the trolley that travels up-and-down Main Street. In Aspen, visitor spending last year soared to more than $713 million. This is an increase of more than 60 percent from the collapse of 2009. The city’s tax collections in 2016 rose 7 percent over the previous year. The largest portion of Aspen’s collections goes towards parks and open space. The city’s 4-acre John Denver Sanctuary is actually a water treatment plant, filtering stormwater runoff through a sprawling garden. Tax dollars also are strengthening the city’s transportation system and several new affordable housing projects are in the works. Winters are busy in ski towns as they have always have been. However, in the last several years, summer has grown to be just as active. The latest sales tax collections show a slight increase in July and August. That’s pushing growth to the shoulder seasons. The fastest growing months for visits in the high country during the off-season are; September (Steamboat and Aspen), May (Breckenridge, Telluride and Vail) and October (Winter Park). Even though Telluride has enjoyed several years of monthly annual growth in visitor spending, tourism tax revenue from both Telluride is rising almost 10 percent faster in those shoulder months compared to its core season. The total spending during shoulder months is still light compared to the high season. More visitors traveling during less-busy times during fall and spring has added to the overall tax collected through the year, thus contributing to the “all time highs” we are seeing on taxable sales!